In about two weeks, we will be on Winter Break. Thank you for a great first semester. The students have been amazing and I am proud of the growth that I saw in many of them. Take the time to enjoy your family and let me know how the ELM family can be of service to you in the new year. Please remind your student to give their best these last two weeks. Here are some key reminders as we wind up the first semester. 1. All students will be participating in some version of an End of Course Exam/Project from Dec. 11 to Dec. 13. Final grades will be issued on December 15. 2. We will be hosting students from China as part of the Eduabroad program starting late January or early February. 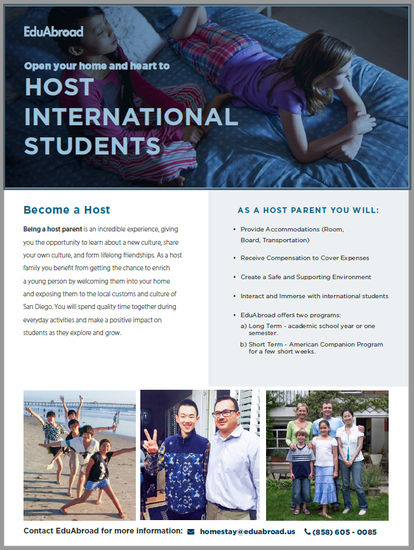 We hope you will consider hosting a student. You will be compensated (see flyer below). The informational meeting will be next Tuesday (Dec. 12 at 6:00 PM) in the library. Please join us for this great opportunity. 3. For the most part, your students will have the same schedule as this past semester. Students will receive their new schedules during a specialized TSP class in the morning. We will have posters and reminders for the students. 4. We return to school on January 10th! Enjoy your break! 5. 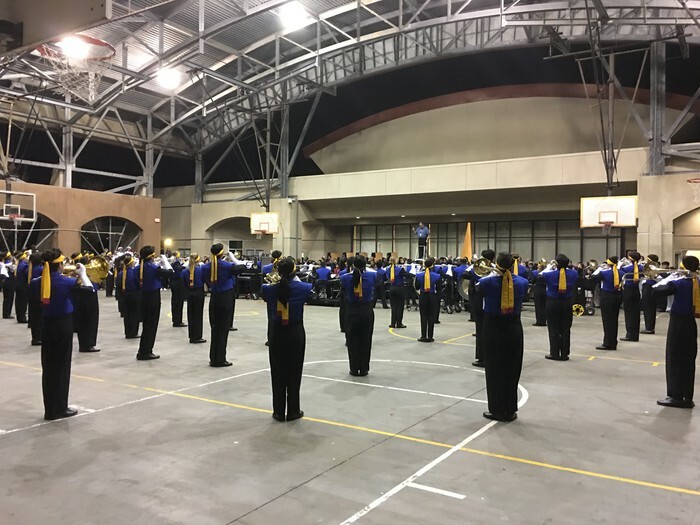 We have our final VAPA (Orchestra) performance this semester this Thursday at 6:00 PM in the pavilion. 6. 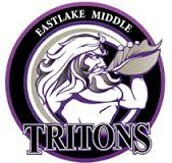 Please consider joining us the Eastlake Education Foundation's Taste of Eastlake. This event sells out! So please check out our website for more information and join us!! Also, you will find the SUHSD Culture and Climate Survey on the website. We want to hear your opinion! I hope to see you at the next Coffee with the Principal at 9:00 AM on Tuesday, Dec. 12th in the library. Mr. Academia and the students were wonderful. Amazing music. 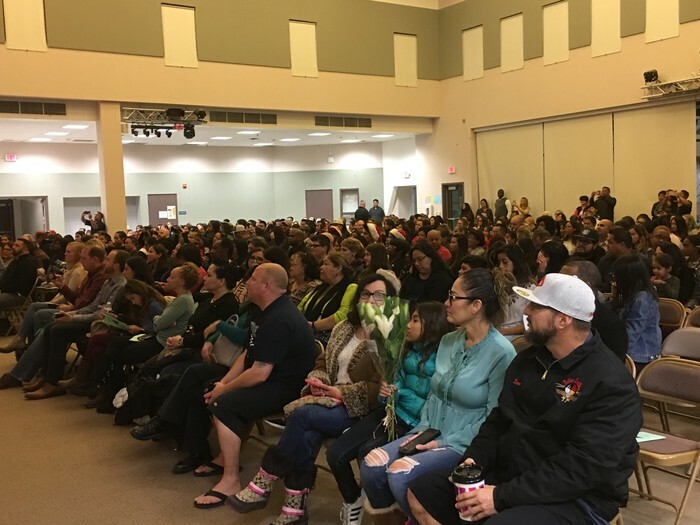 Our parents packed the house to support their students. Great show of support! Eastlake High School came to also perform. 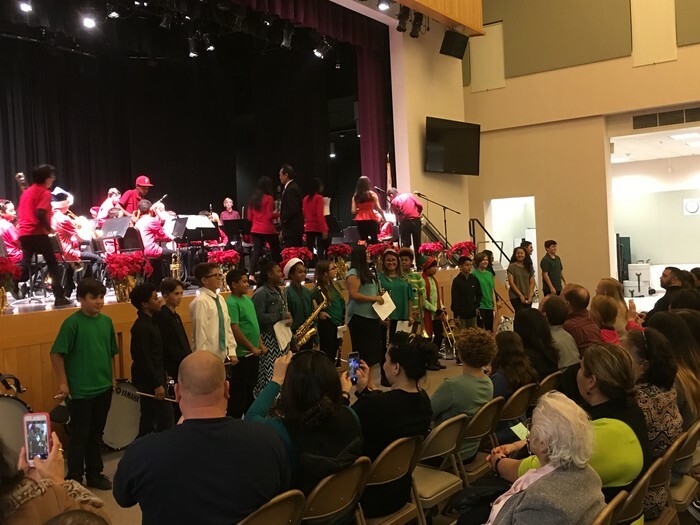 What a great tradition for many of the ELH students who started their music careers at ELM! 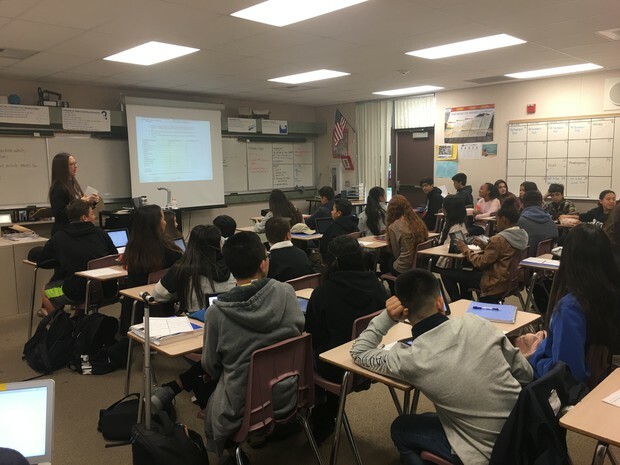 Mrs. Degele led her class in a number of exercises where students were able to practice the use of critical thinking and elevated language. Way to go Mrs. Degele! Please enjoy the holiday seasons and be safe. I look forward to hearing about the great trips and memories your students made over the break. Looking forward to a great 2018!